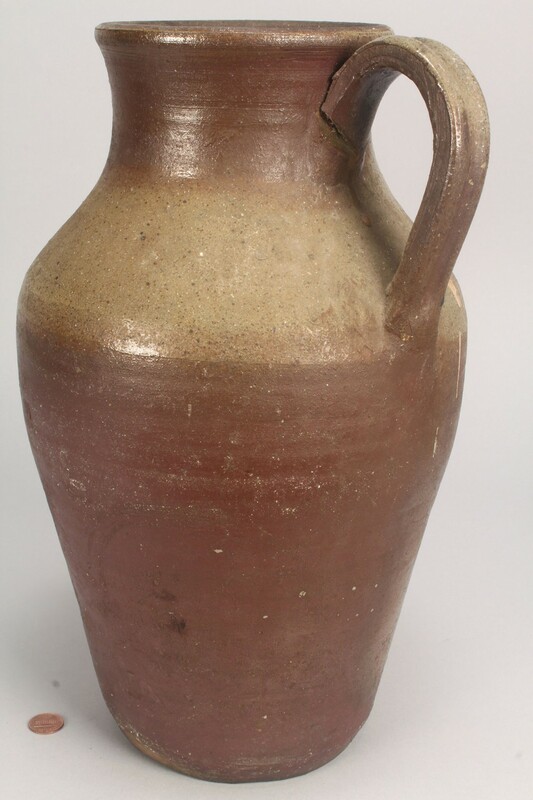 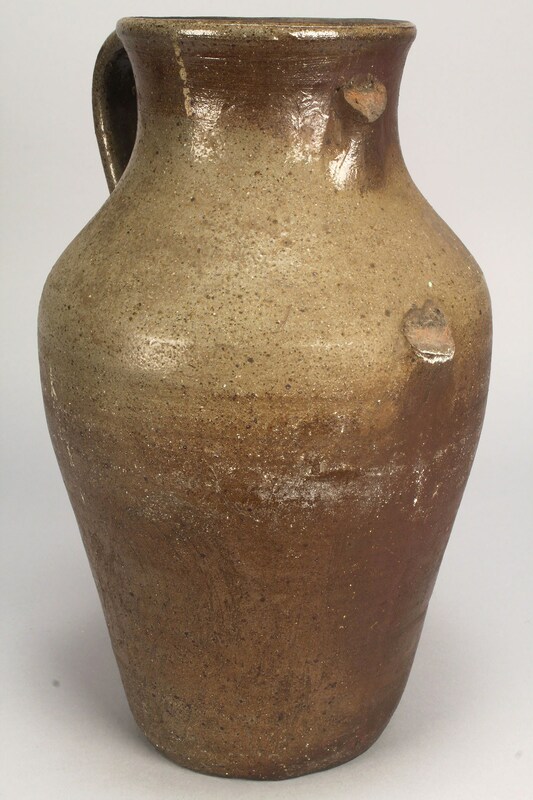 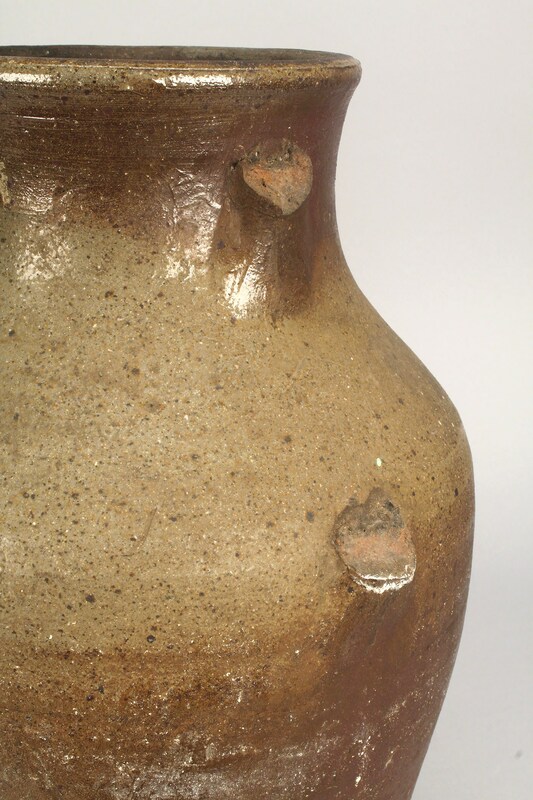 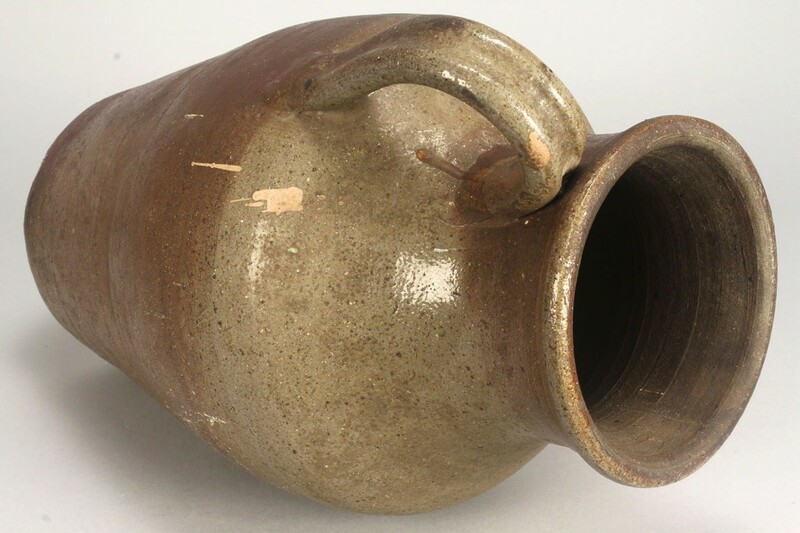 Middle Tennessee stoneware pottery jar, possibly Dunn (George Washington Dunn/1870-1944). 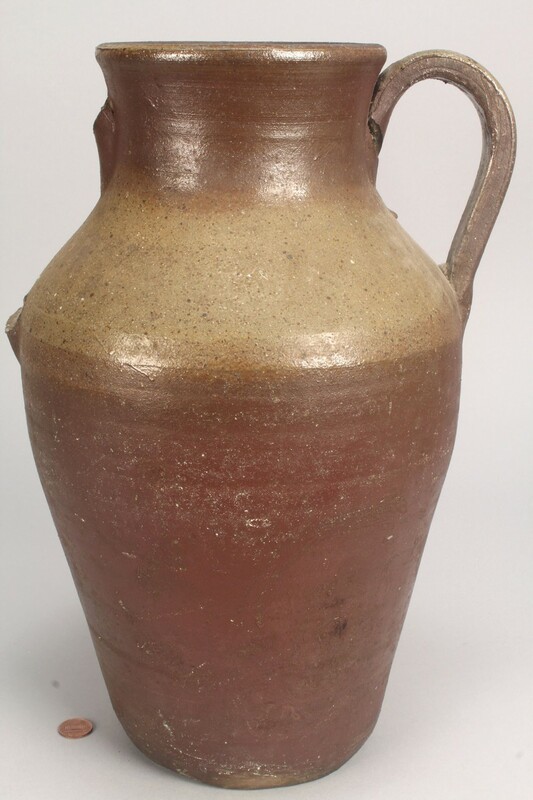 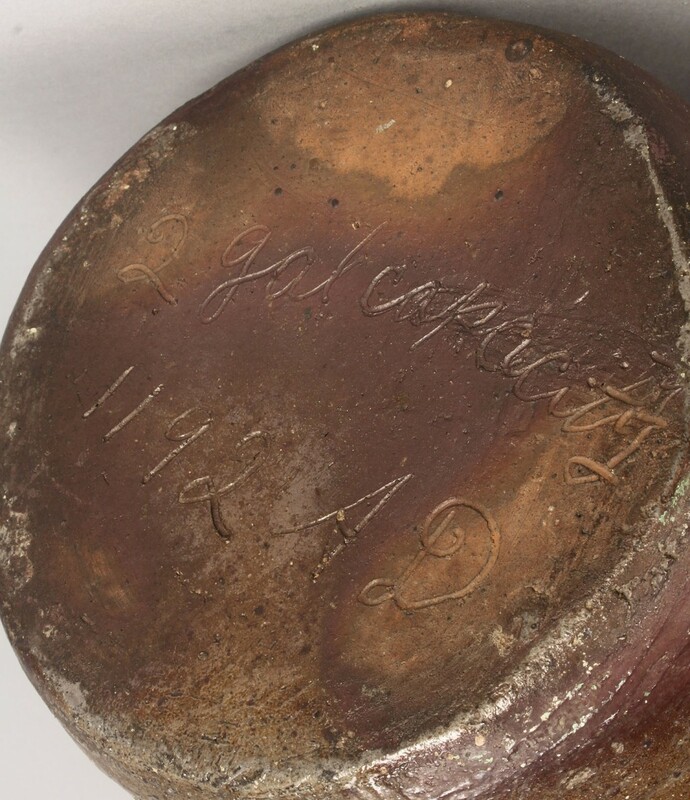 Signed in script on base "2 Gal Capacity 11 92 A. D." 14 1/4" H. Late 19th/Early 20th century. 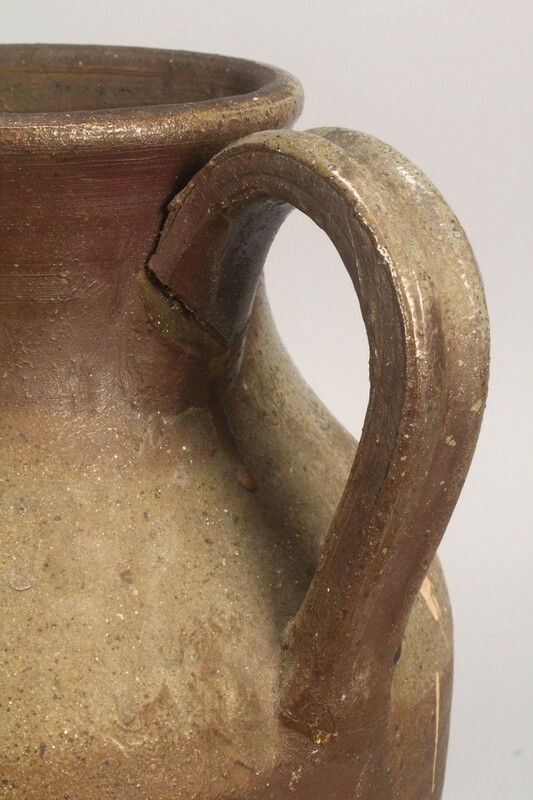 Condition: One handle missing, the other re-glued and missing a sliver near the terminus. 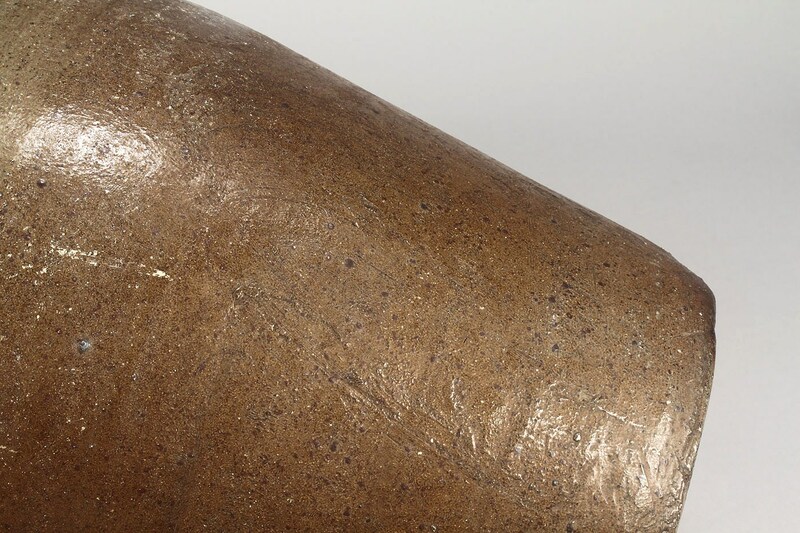 Traces of tan paint to body.